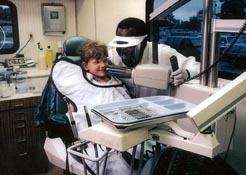 "Give a Child a Smile"
Since 1962 Mobile Dental Units, purchased and equipped by the Elks, have served the dental needs of eligible physically challenged children, and mentally challenged/developmentally disabled adults and children. Basic and routine dental treatments include x-rays, examinations, cleanings, fluoride treatments, fillings, routine extractions and referrals. 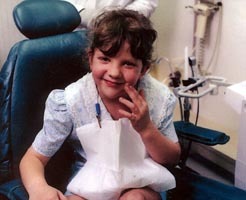 Each year, dental procedures are performed on more than 3,000 patients. The value of these services is over $700,000.00. The Elks Dental Program is administered by the Missouri Department of Health, who has a contract with Truman Medical Center - Lakewood. The Hospital staffs these units, schedules the calls, completes the treatment, and reports the results to the Missouri Elks Benevolent Trust. The units cover the State and will be scheduled for the same area at nearly the same time each year. Units could be at Elks Lodges, Regional Health Centers, or other appropriate locations. 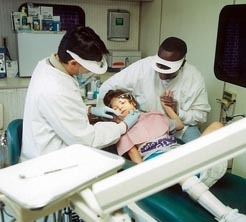 Click here for more information on Elks Mobile Dental Services & Truman Medical Center. 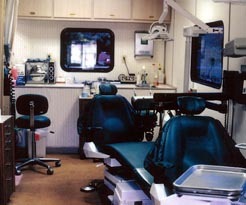 The newest in the fleet of three Mobile Dental Units was purchase by the Elks for over $195,000.00. It features a wheelchair lift and two special dental chairs. 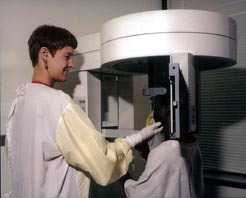 The units are fully accessible for the treatment of our special patients. 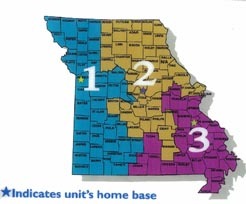 Missouri is divided into three districts each serviced by a separate unit. The units are scheduled to cover the entire state, Unit 1 serves western, unit 2 central, and unit 3 eastern Missouri. 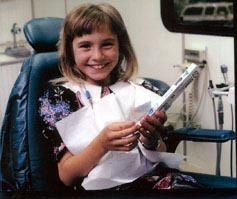 Children needing hospitalization for dental treatment are referred to Children’s Mercy from the Mobile Units. 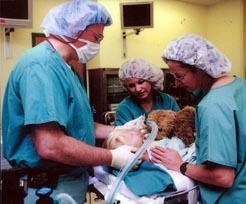 Missouri Elks fund the Elks Fellowship for Advanced Pediatric Dentistry. 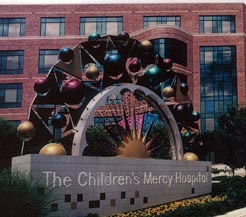 Children's Mercy by the Elks. 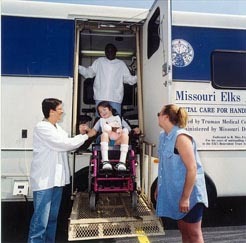 Missouri Elks Benevolent Trust, Inc. was incorporated in order to have a Functioning group to operate the Elks State Major Project, the Dental Care Program. The Officers, Trustees and Board of Management are elected from all Elks Districts in Missouri. They meet twice a year and when special meetings are needed. Current officers are listed in the State Directory of the Missouri Elks Association. 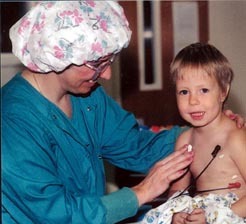 This can be done as a one time payment or as a pledge of $10 per year. This club provides the annual operating and maintenance expenses. This can also be paid at one time or you can pay it in ten pledges of $30 - $50 - $100 per year. In order to provide an assured annual income a Perpetual Fund was established. Only the earning of the Fund may be used. Current Federal and State funding is declining and there is a growing number of patients. Donations from all Elks and non-Elk friends are needed to maintain the current level of service. © 2016 Missouri State Elks Association. All rights reserved.